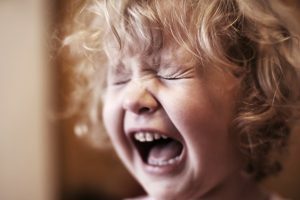 Do You Make This Mistake With Your Anxious Child? Anxiety and worry fuel the anger in my house, for both me and my oldest son. It’s a dark and cold Alaska morning. My two boys and I run out of the house and pile into the car to get my first grader to school. My heart is pounding, palms are sweaty, and I’m talking very fast and loud. I take a deep breath and look at the time. 8:40am. School doesn’t start for another 20 minutes and we live 5 minutes away. Why is my anxiety through the roof? Why is my son so worried? This isn’t how I want to start the day. This isn’t the emotion I want my son to have as he walks into his school. I’ve always been anxious about time, and apparently I have passed down that anxiety to my son. It was in that moment when I saw the tears in his eyes and his worry about being late, that I knew we were on the wrong path. The next morning, I decided to take it slow. Our timer went off at 8:25am, signaling it’s time to get ready. My son’s eyes widen, he screams, and takes off running to brush his teeth and get his shoes on. He’s already in high anxiety mode. I run after him and envelop him a hug. He tries to push me away “Mom, we don’t have time, we have to go! I’m going to be LATE!” Tears start prickling in his eyes. I have decided to be the calming force in our family. I point to the Feeling Buddies on our wall and ask him if he’d like to pick out a buddy to help him this morning. He walks over to his buddies and looks at them. He finds Anxious and takes him from his pocket, holds him to his chest, and takes two deep breaths. I put my arm around his shoulders and ask if he’s okay. 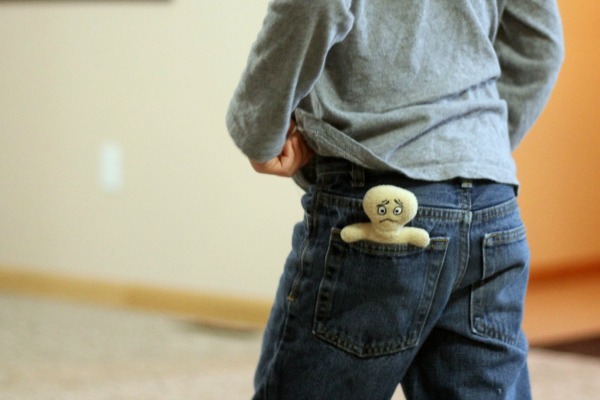 He nods, puts his buddy in the back pocket of his blue jeans and goes into the bathroom to brush his teeth. Several minutes later, we pile into my car. Smiles on our faces and we’re off to school. My son and I are both calm, happy and ready to start the day. I realized that I had to get my own anxiety in check if I was going to help my son through his anxiety. It’s hard for me to stay calm when my children take forever to get ready in the morning. Even if we have plenty of time, their dawdling sends me over the edge. When I start feeling this way, I have to take a deep breath and remind myself that we have time and that we aren’t in a rush. I get us started super early BECAUSE they dawdle. There’s no reason to push them when we still have plenty of time. But most of all, it’s important that I am aware of my own emotions and how they affect my children. When I’m out of control, they are out of control. Before parents can teach children how to regulate their emotions, we must learn how to regulate our own. 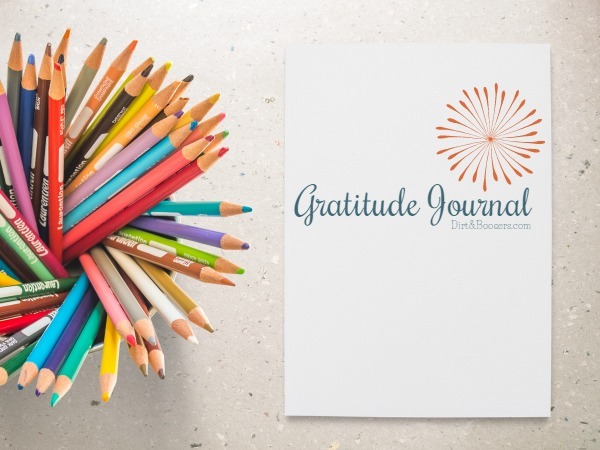 When we self-regulate our own emotions we calmer and more able to help our children through their big emotions and we can become great models of self-regulation for our children. The Feeling Buddies Program is the only program I’ve seen that addresses this. The program comes with a book that’s just for parents to learn how to regulate our own emotions called “Managing the Mayhem”. This book is packed full of insights and tips about why we explode and how to stay calm when we’re stressed, anxious, or frustrated. 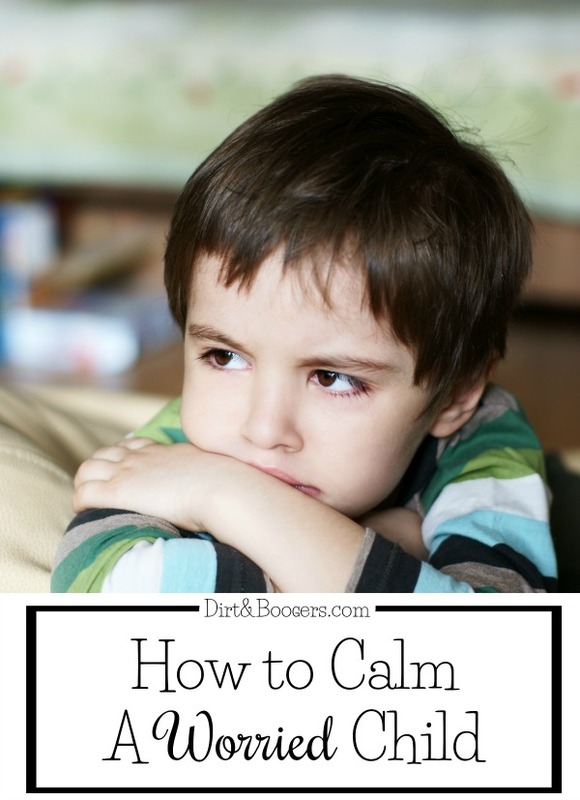 The first step to a calmer child is a calmer parent. Need some help with calming down? 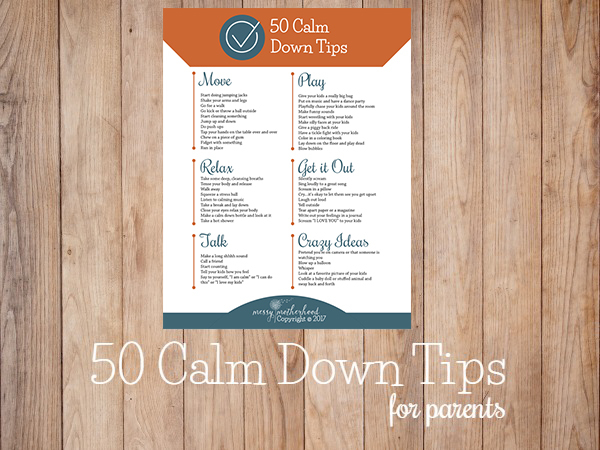 Check out my 50 Calm Down Tips for Parents. My son has been anxious about certain things his entire life. We can’t talk about how Santa doesn’t bring toys to bad kids, because anytime he gets in even the smallest bit of trouble he’s afraid he’s ruined Christmas. He calls himself the worst kid on the planet, even though we have never said anything like that to him and we try very hard not to discipline using guilt and shame. Everything has to be just perfect, or he falls apart into a puddle of tears. Being late for school is another big worry of his and it impacts our mornings almost every single morning. I was intrigued with The Feeling Buddies program because it addresses the four core emotions every human feels (Happy, Sad, Scared, and Angry). 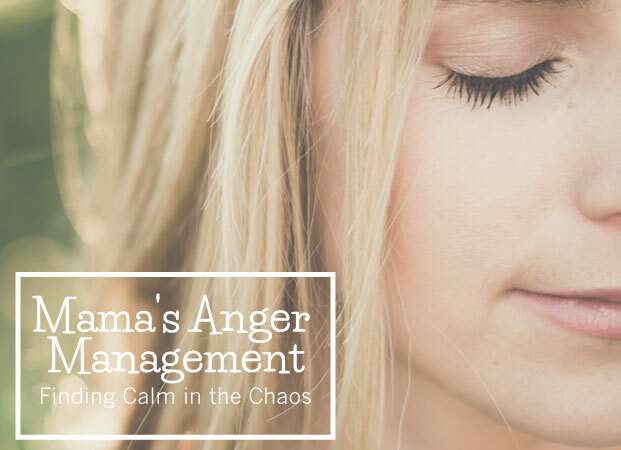 It teaches emotional regulation around these four emotions and gives both the kids and parents the tools they need to stay calm when big emotions hit. Our Feeling Buddies hang on our wall and I use it with both my three year old and six year old boys. When they are overpowered by big emotions, I use the buddies to talk about how they feel, and we walk through the calm down process together. We talk about our emotions and call them by name “I’m feeling mad!” I’ll respond with “I understand you’re mad. What can we do to help you with that?” Sometimes we problem slove the situation that made him mad. Other times, he’s just grumpy and I ask if a hug will help or if he needs some time alone. When he’s really upset, we practice calm down tips, like how to take deep cleansing breaths. The most important thing is to be present, be aware of my own emotions, and to help my child through his. Since practicing calm down techniques (for both me and my son) our mornings are generally a lot better. That’s how I like to send my kid off to school in the morning. 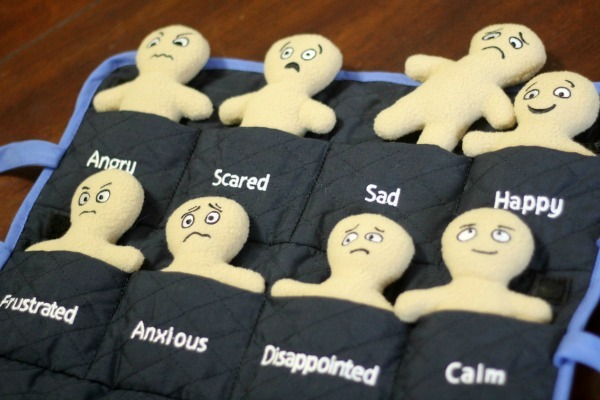 To help your child with their big emotions, check out the Feeling Buddies Program here. Oh my goodness. This post sounds like our house! My son is constantly worried we will be late when we go somewhere. And, like you said, I know I am probably part of the cause of that. Even our dog has anxiety issues — seriously. I need to learn to calm down. Off to read your tips for that! Keep up with these tips. I love your work! Somehow, your blogs hit home every time I read them. It’s scary how it happens to the day too. Your words are encouraging, Amanda. I appreciate them. Now, just putting this into action. I need to learn how to control my own anxiety and regulate my own emotions because we do see it rubbing off on my 8 year old son, to the point of us arguing and my wife being the mediator. Any extra tips are appreciated. Amanda, I have read your blog and been completely amazed that it so closely mirrors my own feelings and frustrations. Thank you for the resources, for the laughs, for the validation of not really being alone. So many moms are in competition to have it all together, but I sooooo crave something real and have found it here. Thank you, thank you, thank you! 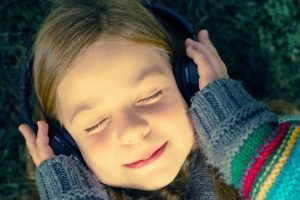 You should introduce meditation in your children’s life. Meditation isn’t what many imagine. It doesn’t necessary involve sitting cross-legged under a tree chanting. Meditation is simply giving the brain chance to rest. The world is a hectic place and there are plenty of reasons to be anxious. Giving children the skills to find peace in all the madness is an amazing gift.